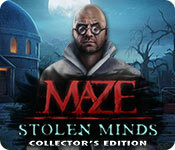 Maze: Stolen Minds Collector's Edition is rated 3.2 out of 5 by 34. Rated 5 out of 5 by Tomsde from Another Creepy Maze Game I love this series, this game is no exception. It has beautiful artwork and suspenseful story-line. I liked the fact that I could go back at the end and find the morphing and collectibles I couldn't find while I was playing. The morphs in these games, this one in particular, are particularly difficult--if I had any criticism is that they don't change quickly enough and are very hard to find. The soundtrack was appropriately creepy. If you liked the other Maze games, this one is one you'll want to play. I particularly liked the bonus game at the end. All in all I liked the Sheriff character best and once again I wish the developers would make the character I am playing either gender neutral or let me choose genders. These games are long, so you get your money's worth--and also very challenging--so don't take it on unless you don't mind devoting a lot of time to it. Rated 5 out of 5 by Door176 from Great I love the "mad head" games. Great! Rated 5 out of 5 by Kristi_ish22 from This was a fun game! This game kept my attention and was really fun to play. I don't understand why others aren't giving better reviews. The Maze games never disappoint me! Rated 5 out of 5 by HOGeek from A-Maze-ing Game! I do not always leave a review, but after playing the game, I felt I needed to comment on its exquisite quality: thrilling plot, gameplay length, character development, soundtrack and CE goodies. I would point out this game is quite challenging as far as its mini puzzles are concerned. 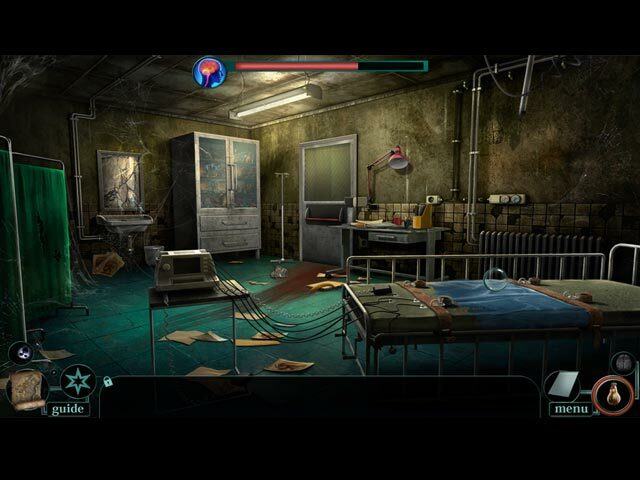 Also, some hidden object scenes are dark, with some items being smaller or hidden behind others. 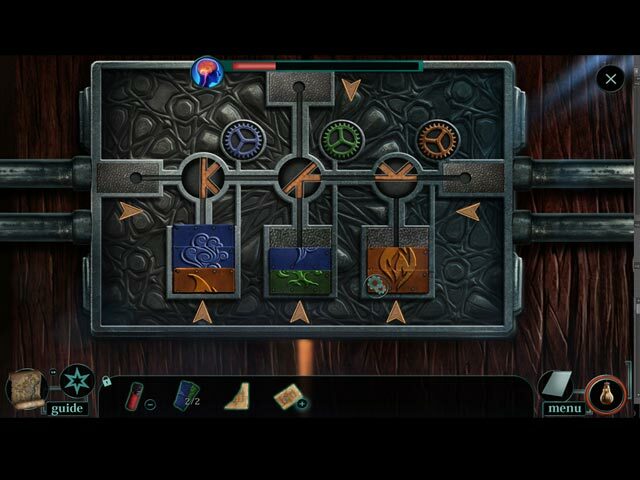 These elements make it harder to complete hidden objects scenes without using the Hint button. A great game, recommended for Advanced and Expert players! Rated 5 out of 5 by sullysdragons from Try not to lose your mind while saving the world. Loved the dark story behind this adventure. It kept the whole game going and had me wanting to see what was coming around the next corner. 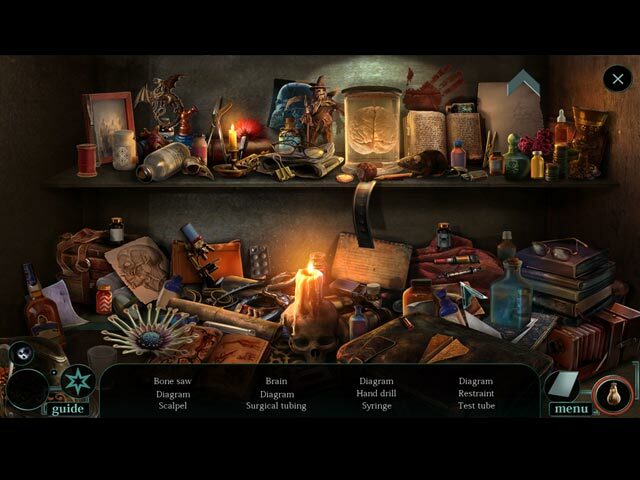 The only quibble I have, is some of the scenes and hidden object searches were too dark, making it difficult to spot objects. It moved along quickly and was over before I wanted it to be. No, I'm not saying the game was too short, just that I was enjoying it and didn't want it to end. Rated 5 out of 5 by bucca71 from Loved this game!! I would love to see more games like this. Wish it was a little longer but it was so much fun to play. I love adventure/hidden object but preferably more adventure. I loved the pace of this game. The creep factor was there. This is a great game. Keep them coming! Rated 5 out of 5 by Ndwelt from Another Gone Game in a day Gone game in a day similar to Maze 360. No demons, no spells, no tats, no potions to make. (so far) HAPPY, happy,happy player. :) The HOPS weren't easy either but fun. And in my psycho mind...(still crazy after all these years)..the flow was sensible and pretty fast paced. I loved it and played through to the end all day! Rated 5 out of 5 by 1955raven from CAN YOU ESCAPE BEFORE IT'S TOO LATE!!!! ANOTHER EXCELLENT MAZE! PUZZLES ARE GREAT AS ARE ALL OTHER FEATURES! WAIT TILL YOU MEET THESE CHARACTERS! CAN'T WAIT TO FINSH...………….